DAVID LE/Staff photo. 2/14/15. 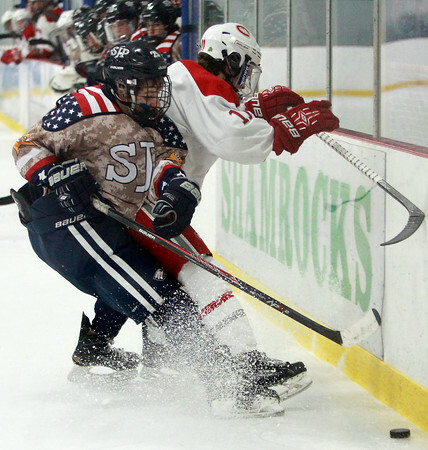 St. John's Prep junior winger Mitch Shaheen (25), gets tangled up with Catholic Memorial sophomore forward William Smith (11) as they battle along the boards for a loose puck.